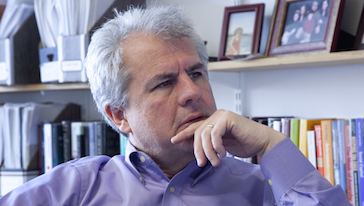 Lant Pritchett is Professor of the Practice of International Development at the Kennedy School of Government at Harvard University since 2007 and is a Senior Fellow at the Center for Global Development. He graduated from Brigham Young University in 1983 with a B.S. in Economics and in 1988 from MIT with a PhD in Economics. He has authored (alone or with one of his 22 co-authors) over 100 works published in refereed journals, articles, chapters in books, in the press and has over 20,000 total citations (not that he checks all the time). In addition to economics journals his work has appeared in specialized journals in demography, education, and health. In 2006 he published Let Their People Come and in 2013 a second book The Rebirth of Education. After finishing at MIT Lant joined the World Bank, where he held a number of positions in the Bank’s research complex between 1988 and 1998, including as an adviser to Lawrence Summers when he was Vice President 1991-1993. From 1998 to 2000 he worked in Indonesia. He has been part of the team producing many World Bank reports, including: World Development Report 1994: Infrastructure for Development, Assessing Aid: What Works, What Doesn’t and Why (1998), Better Health Systems for India’s Poor: Findings, Analysis, and Options (2003), World Development Report 2004: Making Services Work for the Poor, Economic Growth in the 1990s: Learning from a Decade of Reforms(2005). In addition to working in the World Bank and academic his career has been engaged in development in a number of capacities, including as a consultant to Google.org, a fellow of BREAD, and as a co-editor of the Journal of Development Economics.